Perfect for large homes! Weekly cleanings offer the convenience of the total package. Kitchens, bathrooms, and high traffic areas are cleaned every time. Smaller duties are done on a rotating schedule, but rest assured, the house is clean! Our most common option, bi-weekly cleans help keep your home in tip-top shape! This is the perfect option for the busy family or the working mom. The monthly cleaning is scheduled on a 4-week rotation. Everything is cleaned and dusted each visit. Expecting a visit from the in-laws? Too tired to tidy up after your dinner party? We will clean the entire house, or just your kitchen! Need that heavy duty clean? Let us do the dirty work. Appliances, cupboards, ceiling to floor. We make it all spotless. 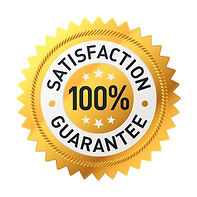 We promise you will be happy with the results and 100% guarantee our work! If something isn't right we will come back and fix it! Moving in or moving out, we will clean your house top to bottom. Removing cobwebs, cleaning out cupboards and appliances, we can make your move-in a breeze, or help you get the most back on your deposit. Book, relax, enjoy a clean house. Don't spend your valuble free time keeping your house clean. Leave it to professionals. We not only make sure your house is clean for an affordable price, but that your house is free from any debris, clutter, or messes that causes stress, anxiety, or even illnesses. We specialize in carpet and floor Cleaning. We are excellent in Detail work. Take advantage of our per Room pricing, room size doesn't matter.